HAWTHORNE, Calif. – Engineers, investors and innovators from around the globe gathered in the Southern California desert on July 22 to test their prototypes for an ultrafast subterranean transportation concept at the 2018 SpaceX Hyperloop Pod Competition. The private space exploration company SpaceX founded the annual hyperloop pod contest in 2015. Competition was fierce this year, with the best 18 teams from around the world vying for the win. The rules were simple: fastest pod took top prize. The University of Wisconsin–Madison team Badgerloop was among those elite teams. 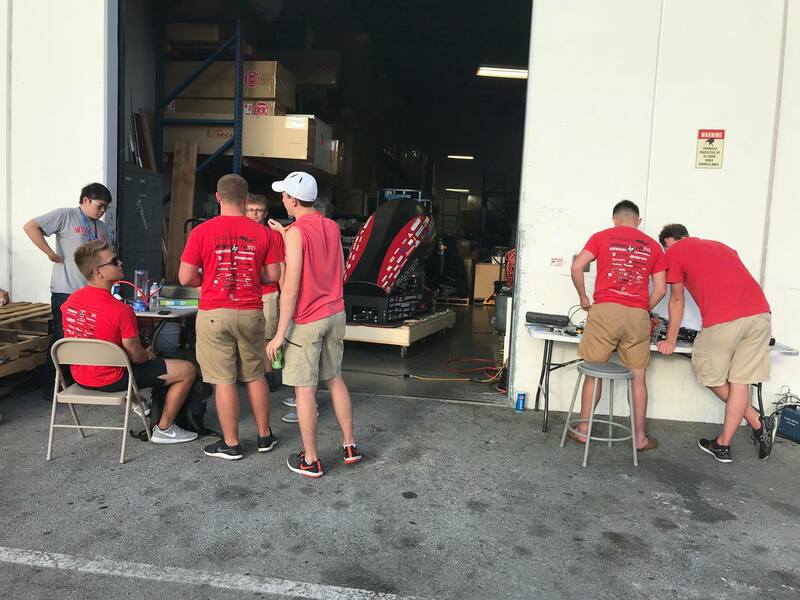 After a grueling week of technical testing to ensure the competing vehicles could withstand hurtling through an airless tube at nearly one-third the speed of sound, four teams were selected to give presentations on the final day of competition about their team’s design. Badgerloop was one of those four—chosen because their initial presentation on the first day of competition impressed the judges. Unlike many of its competitors’ teams, which are populated largely by graduate students who work full-time on their designs and receive major (or full) funding from their institutions or corporate partners, the Badgerloop team is made up almost entirely of undergraduate students from departments across campus who devote hours of their spare time to the team and must fund-raise for materials and resources on their own. “We are so grateful for all the support we received this competition from all of our 59 sponsors and everyone at UW–Madison,” says Badgerloop industry relations team lead Emma Krueger, an undergraduate majoring in sociology. Badgerloop established itself among the top competitors during the previous two contests, taking home back-to-back innovation awards. In 2018, the team debuted a completely redesigned pod with a mechanical wheel propulsion system capable of spinning at 5,300 revolutions per minute. The students also opted for a strong, yet ultralight carbon fiber and composite outer shell for their vehicle. The students updated the pod based on an important new facet of the competition requirements: In 2018, hyperloop pods needed to achieve their maximum speeds by accelerating from a standstill under their own power. Previous competitions allowed teams to take advantage of a SpaceX-made vehicle called a “pusher” for an initial boost. 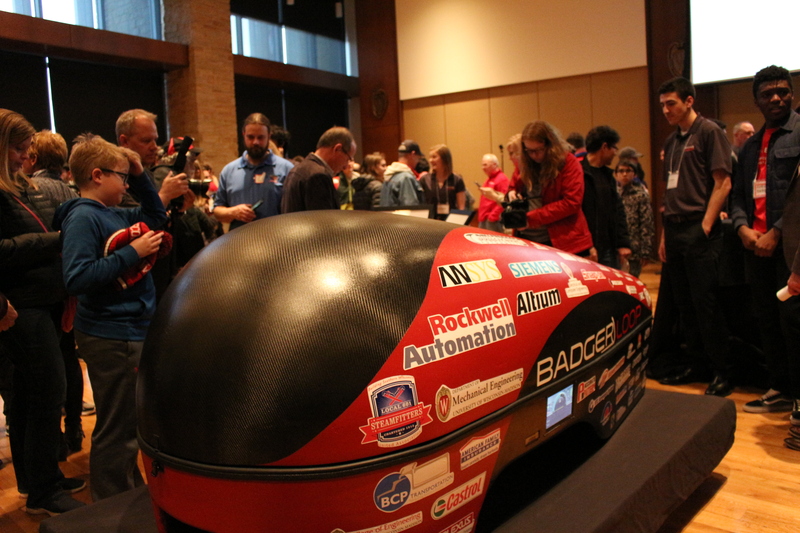 Even though Badgerloop’s sleek teardrop-shaped red-and-black pod did not take top prize, its pod passed the majority of the competition’s rigorous technical tests, while the students wowed the judges with their work ethic and resourceful creativity. Only three teams—Delft Hyperloop, EPFLoop, and WARR Hyperloop, all representing European institutions—ultimately were cleared to send their pods down the mile-long vacuum-sealed hyperloop test track in the Southern California desert. WARR Hyperloop from the Technical University of Munich continued its three-year winning streak by taking home top prize, achieving a top speed of 290 miles per hour—a record for the competition. 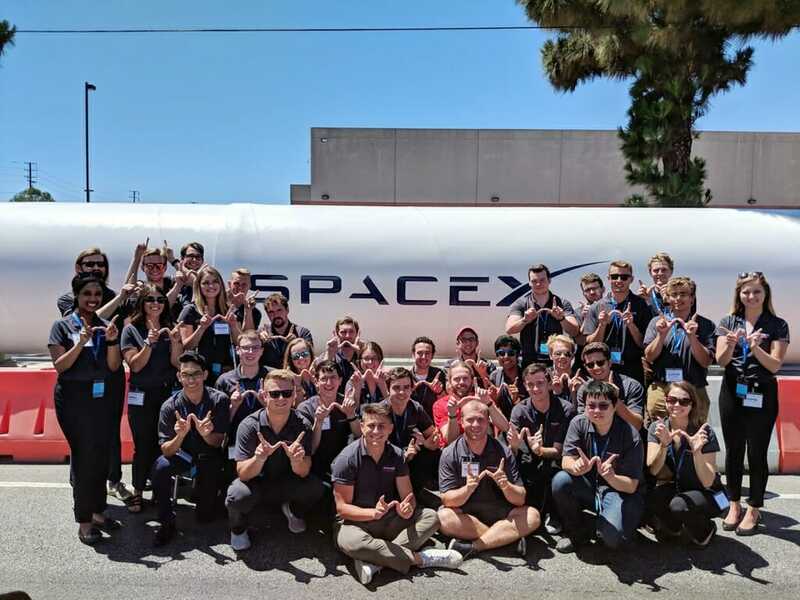 The UW–Madison team is already looking ahead to future contests; during his remarks at the competition’s close, SpaceX CEO Elon Musk said that he is already “fired up” for the fourth competition in 2019. And so are members of the Badgerloop team, who plan to begin updating and testing their pod before the summer’s end.